Today I thought I would review a more traditional shounen/seinen series with fight scenes for a change! 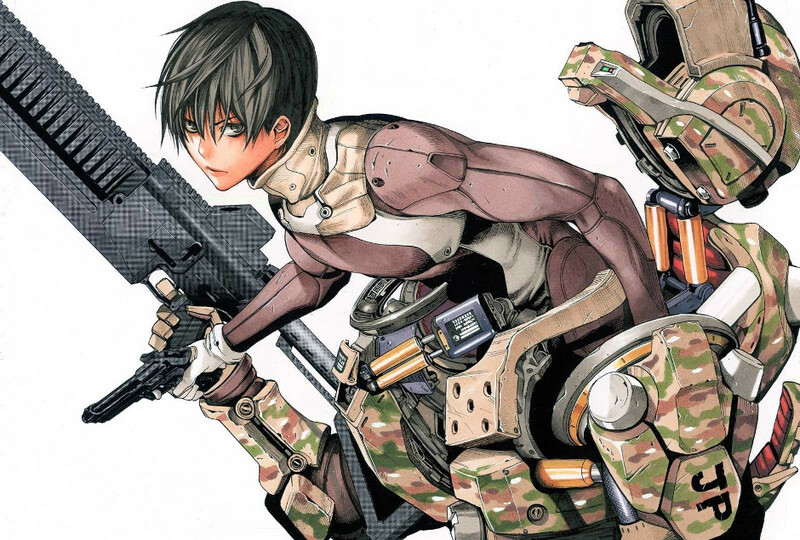 All You Need Is Kill is a short militaristic manga adapted from a light novel, drawn by the author of Death Note, which was also adapted into the movie Edge of Tomorrow starring Tom Cruise and Emily Blunt. Summary: The world is in a war against an alien race called “Mimics,” who have taken over most of the world with a mission to eliminate the human race. 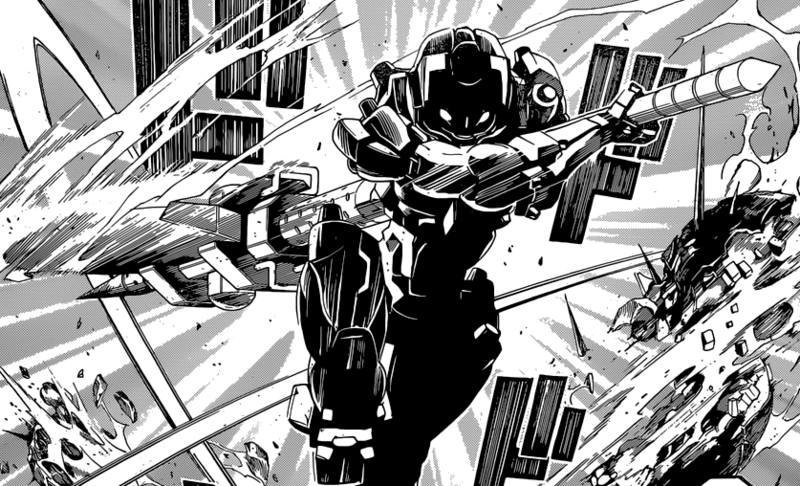 Keiji Kiriya is a new recruit in the United Defense Force, which is battling against these “Mimics.” On his first day of deployment, Keiji and his unit encounter “Mimics” and are all killed… Or was it all a dream? For some inexplicable reason, after every time he dies, he is resurrected and returned back to the day before the battle. Why does this happen to Keiji and how can he escape from this never ending cycle? 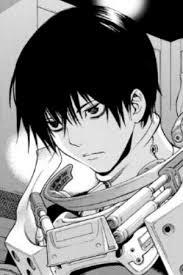 Excellent artwork by Obata Takeshi sensei. 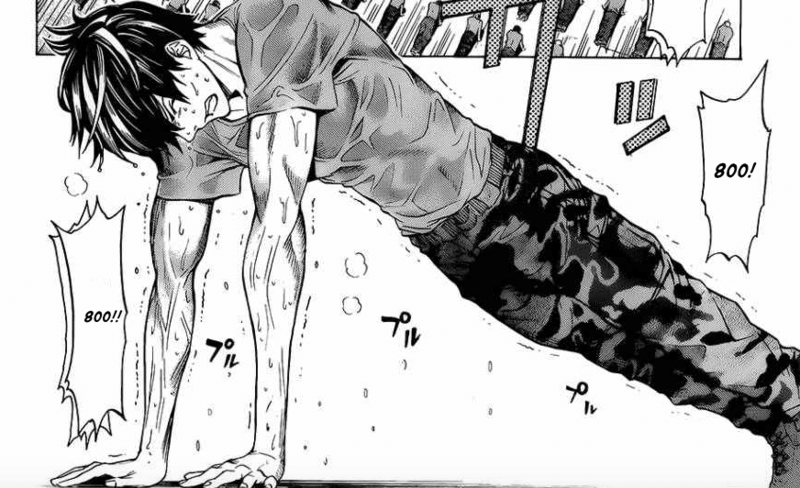 A more shaded and traditionally male-focused style with more realistic depictions of body and musculature (as compared to shoujo). The fight scenes in particular manage to show messy action without descending into total chaos in which you can’t tell at all what’s going on (other than that action is happening), which is a huge plus for me. Takeshi sensei is also a master of intense facial expressions, which we have seen plenty of in Death Note. The only complaint here is that the main character looks an awful lot like a combination of Light Yagami and L due to the artist’s distinct style, which may or may not be distracting to Death Note fans. The premise of this story is that aliens called “mimics” have invaded earth, and the main character, a soldier in a battalion fighting the mimics, keeps waking up on the same day when he dies (similar to Groundhog Day). This setup is the best part about the story IMO, and given the military setting, the beginning is very, very intense. The second half of the story slows down with more exposition, backstory, and a small amount of romance. The whole thing is very fast-paced, with little “excess” story or drama dragging it down, and while it’s too short to go very much in-depth, it stands alone as a beautiful vignette, showing you a brief glimpse of something strange, something intriguing, and something beautiful. The star-crossed lovers ending IMO only makes it that much better. The story is interesting enough that some sort of happy ending where they successfully escape the mimics would likely still be satisfying, but instead the author provides a Hunger Games-esque twist… with a catch. The death match is NOT manufactured by the capitol, and the two truly have no way out, not even committing double suicide because that would mean the end of humanity. Something like this leaves a much stronger impact than the teenage antics of Romeo and Juliet, and will stay with you even after the story is done. The one flaw of this manga is that the characters are never more than caricatures. From series like Orange (Takano Ichigo) we know that it’s possible to depict and get to know multiple nuanced characters very intimately in a few short volumes, yet Rita’s backstory is weak at best, and we never learn much of Keiji’s personality other than that he is smart and determined to get out of the loop — a state pretty much anyone can get to with enough repetitions. Cardboard cut-out characters work very well for allegorical stories like Annarasumanara, but falls weaker in a story like this which contains a blend of sci-fi concepts and actual storytelling. Still, I would classify this as a minor flaw in the big picture of things; the overall story is still more than worth a read. The main character. He starts off as a rookie in the Japanese military with no experience, and dies in his first battle against the mimics only to find himself inexplicably returned to the day before the battle. At first he thinks he is dreaming, but soon realizes that he is caught in an endless loop. 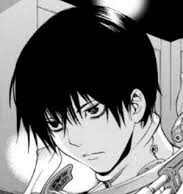 After going through various stages of fright and attempting to escape, he eventually realizes that there is no way out, and begins to focus both on training and on investigating the loop in the hopes of escaping this eternal hell. A small woman leading the U.S. Defense Force. She is also known as the “Hound of the Battlefield” for her incredible prowess in fighting the mimics and unparalleled martial arts skills. 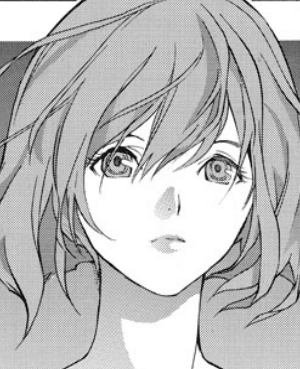 Her unit is pretty much the only unit in the entire world that is victorious against the mimics, and she crosses paths with Keiji when her unit is assigned to Japan as reinforcements. When Keiji and his friends first see her, they are shocked at how small and normal she seems, and question whether she could really be the legendary warrior they have heard about. The scans of this series were done respectively by MTO and Kisu KissManga Scans, both of which are decent quality and good enough for a casual read. More importantly, it is licensed and published by Viz Media (which means scanlations ARE illegal), and their official English version is available for less than $10 for both volumes. The main thing I want to note here is be wary of the Kindle edition. Readers have noted that the way Kindle cuts off pages does NOT match with the pages of the manga, and they are constantly having to resize just to read the text in the text bubbles. This makes sense, as Kindle was designed for text and offers convenient text-resizing options, in which the original page cut-off points don’t need to be respected. If you do wish to purchase, buy the physical paper version and avoid the Kindle e-book. High. The idea is interesting enough that going back and rereading the story doesn’t dampen the appeal. It also (as mentioned in the Story section) has very little excess drama and drag to bring you down when you go back and reread. The science behind it, while perhaps not the most 100% scientific, is rather trippy and at the end when you understand how the mimics work, some readers may be tempted to go back and reread the beginning with a fresh new perspective. The first series that pops to mind is Murasakiiro no Qualia. 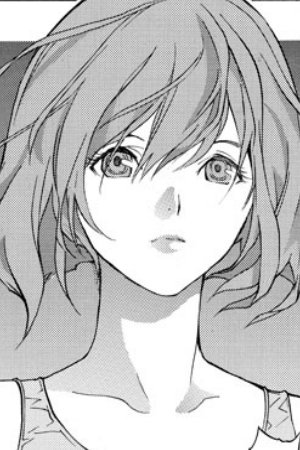 Without a doubt, the most trippy, mind-bending, bizarre sci-fi series that I have ever read which according to geeky fans is actually accurate in its depiction of quantum theory, although the hard science doesn’t really start until chapter 7 or so and there are a lot of silly shoujo elements. 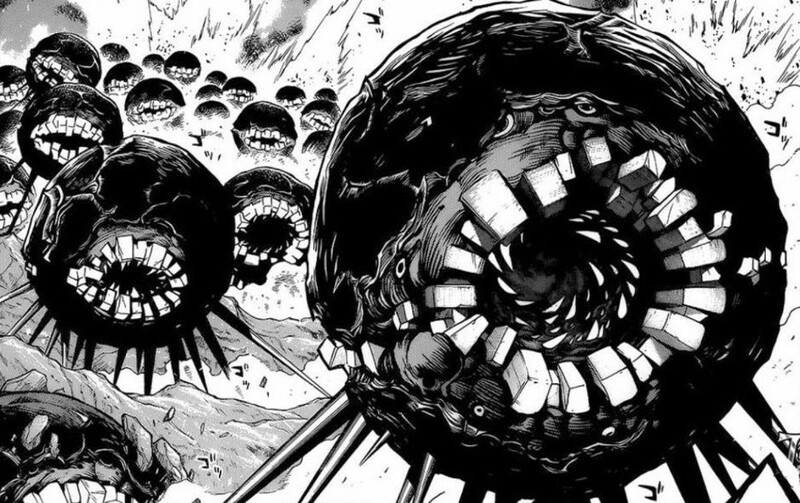 If you’re not looking for something quite so intense and just want something similar, robots, military, some sci-fi and weirdness, try Gantz. Very similar in overall mood and tone, although it is incredibly long. And of course, Edge of Tomorrow the movie is literally based off the same story, although it has more of an American flavor thanks to Hollywood. For a shorter story that has sci-fi elements and a romance plot similar to the main romance, try Hoshi no Koe (also known as Voices of a Distant Star). While there is a manga for this, I highly recommend the animated feature, which has absolutely breathtaking visuals. After School Military Activity, a webtoon by the creator of Annarasumanara, is another story with a similar setting and amazing story which digs deep into human nature in times of war. Highly recommended for anyone to read regardless of whether they’re looking for similar works. Lastly, if you are a fan of the artwork, try Death Note and Bakuman, both of which feature the same artist but a different author. No real reason not to. Maybe if you really, really aren’t in the mood for action, but honestly the brief romance subplot is not bad and worth sticking it out to the end. I liked this series so much I was a little disappointed when I reached the end. I want more of this universe! On a side note, I’m pleasantly surprised to find the girl from Change 123 in your website’s background. 5-10 years ago I found it by combining tags in MangaFox’s own search engine just to see what would come up and it’s been a favorite ever since.